Bull Sale Information Is Up! 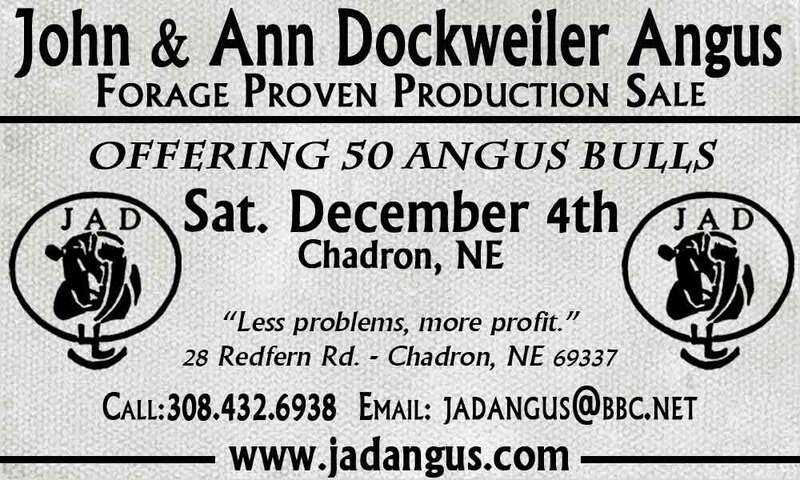 We have all of our bull sale information up for you to view. All of the information can be found by using the “Bull Sale” link at the top and letting your mouse hover for just a second. There are video clips of each lot in the sale so you can see them a little more in depth. Lots 54-57 now have videos up as well. Click here to start viewing videos of the bulls and heifer calves. We have added a photo gallery so you can have a better look at all the bulls and the heifer calves. The photos can be found on the “Lot Photos” page. Click on any photo to view them in a larger size. Finally, we also have our full catalog available for you to download. It requires the Adobe PDF reader in order to view it. If you would like a hardcopy, please fill out the contact page, or click here and let us know where we can send you one. Thanks for stopping by, and hope see you at the sale.